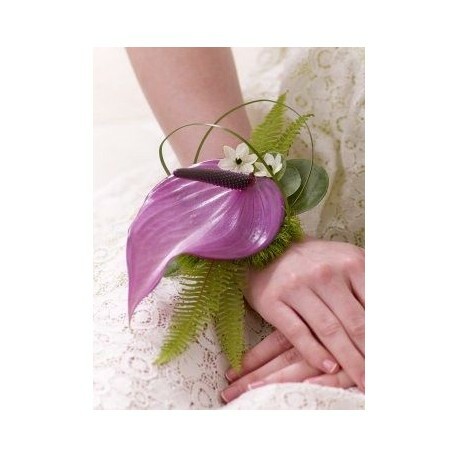 For a more unusual style statement, this wrist corsage is a beautiful choice. We’ve showcased the shape and colour of the anthurium, and added extra pretty details to create something really special. 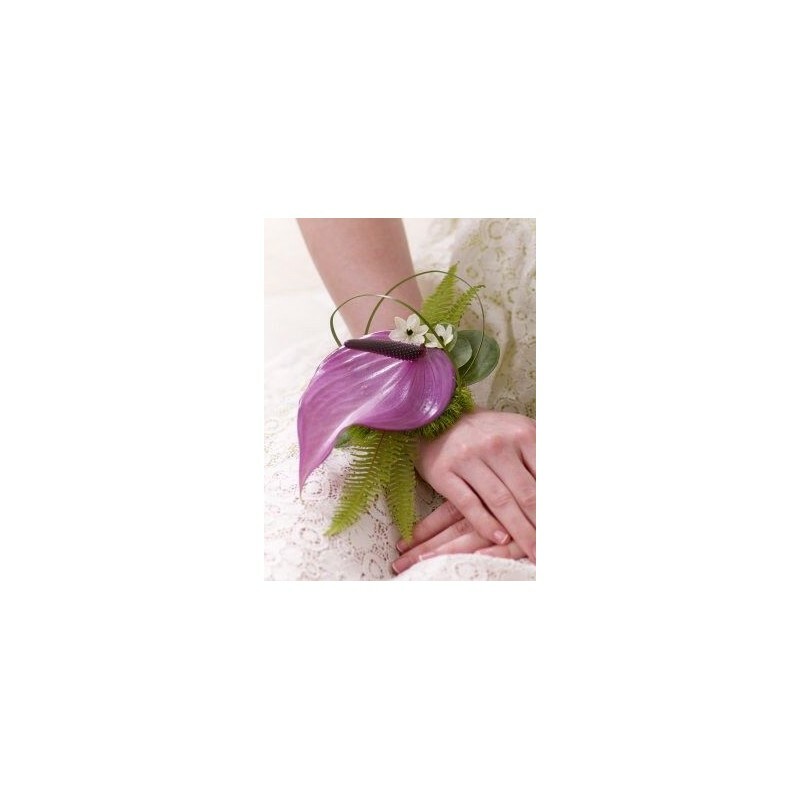 Featuring a purple anthurium and 3 cream ornithogalum flowers with green succulent leaves, fern and bear grass, set onto a diamond daze wrist bracelet. 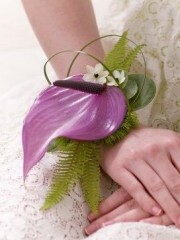 A beautiful adornment in purple created by expert florists.